• Christian Projects promoting the Christian faith by meeting spiritual needs of older people and those with learning disabilities or cognitive impairments. They are also interested in work that reaches out to the “unchurched” particularly young people and families. Grants are above £10,000 per annum for up to 3 years (most grants are for 1-2 years). Only organisations with turnover up to £1M per annum can apply and applications can be made at any time (trustees meet 3 times a year). E-mail clergy@henrysmithcharity.org.uk for more information. 1. Help people at critical times to rebuild their lives following a crisis, trauma or abuse. 2. Give people opportunities to make positive choices. 4. Support people to move towards employment. 5. Financial inclusion helping people address their financial problems. 6. Develop improved family relationships and support networks. Grants £20,000-£60,000 per annum for 1-3 years are available to organisations with annual turnover £50,000-£2M. Apply at any time, trustees meet quarterly. • Strengthening Communities in disadvantaged areas that are economically marginalised/affected by poverty engaging residents in activities that improve connectedness, opportunities and wellbeing giving them access to services leading to stronger communities. Grants £20,000-£60,000 per annum for 1-3 years are available to organisations with annual turnover £20,000-£500,000 based and working within the 10% most deprived areas in England. Apply at any time, trustees meet quarterly. Waitrose Community Matters programme has been running for over 10 years providing small grants to local good causes. Each branch of Waitrose has £1,000 available monthly to be shared between three local good causes chosen by customers. At the end of shopping customers receive a token to place in a box of the good cause they would most like to support. Decisions are then made monthly as to which 3 local good causes are supported. In Dudley borough the only Waitrose branch is at Ryemarket in Stourbridge (DY8 1HJ). Applications are made by visiting the store, completing a nomination form and handing it in at the Welcome Desk. If successful the branch Community Matters Champion will be in touch. All applications are held for 6 months. 3. social activities that provide local solutions to meet local needs, promote community cohesion and develop sustainable/supportive communities. 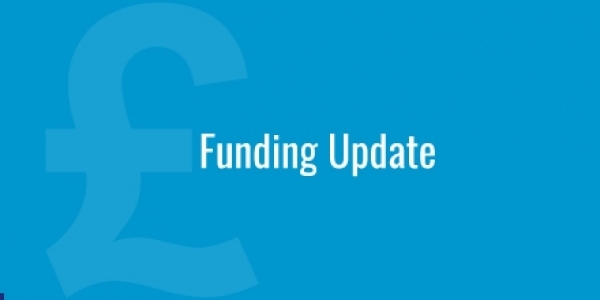 Large grants up to £10,000 are available for organisations with annual income below £500,000 and small grants up to £2,000 are available for organisations with annual income below £250,000. Applications can be made at any time. 1. £3,000-£10,000 up to 1 year. 2. £10,000-£100,000 up to 5 years. Applications for these amounts can be made at any time and, prior to applying, organisations can submit a project enquiry form for advice to help develop a project idea. Following submission decisions are made within 8 weeks. 4. £250,000-£5M up to 5 years through 2 phases i.e. development (up to two years) and delivery (up to five years). Applications for these amounts can be processed at any time and assessments are made within 12 weeks after which the application will be assigned to a quarterly committee meeting. Remaining 2019 deadlines are 28th May, 20th August and 19th November for decisions in September/November 2019 and March 2020. 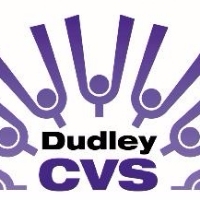 John Goodman, Funding Officer at the Lottery with responsibility for Dudley borough, is available to meet voluntary and community sector organisations at our office on Wednesdays weekly. He will discuss projects with potential applicants and advise whether the Lottery may be interested in supporting these projects through one of their grant programmes.